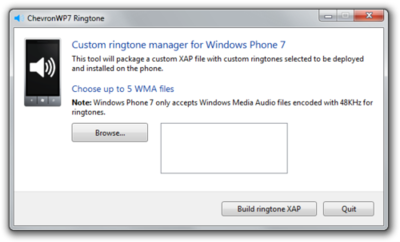 For those who read our previous article regarding the Windows Phone 7 Unlocker from the site ChevronWP7, now we bring you an update. It seems MS has diplomatically pushed to take it down with the intent to enable homebrew. I´m sure we will hear more news regarding this kind of unlockers very soon. Earlier today, we were contacted by Brandon Watson, Director of Developer Experience for Windows Phone 7, to discuss the ChevronWP7 unlocking tool. Through this discussion, we established a mutual understanding of our intent to enable homebrew opportunities and to open the Windows Phone 7 platform for broader access to developers and users.